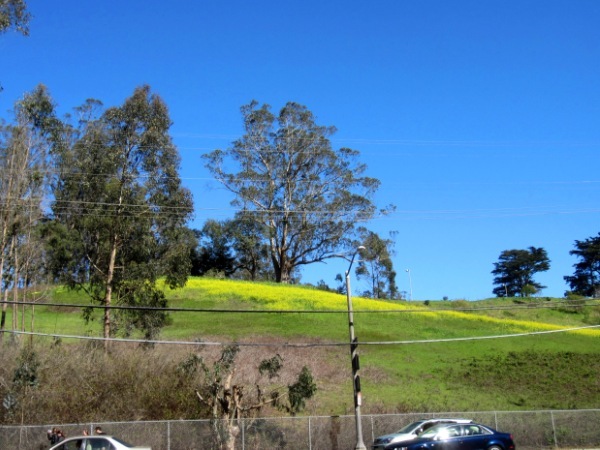 You don’t have to go to Napa to see the brilliant yellow of mustard flowers – they’re blooming right here in the hilly meadow of Laguna Honda Hospital, above Laguna Honda Boulevard. 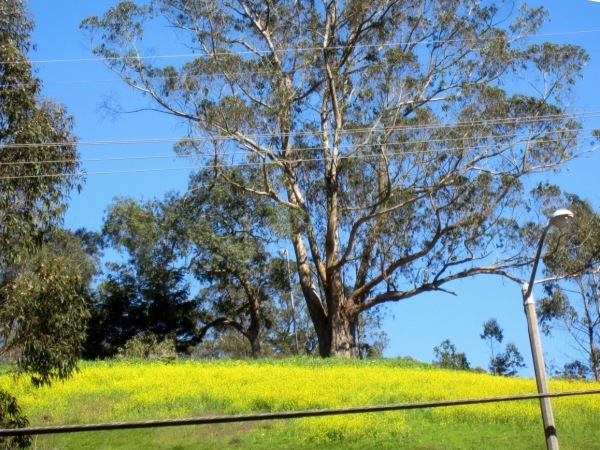 I stopped to take a picture, and as I zoomed in, was struck by the grace and grandeur of the eucalyptus tree above the meadow. 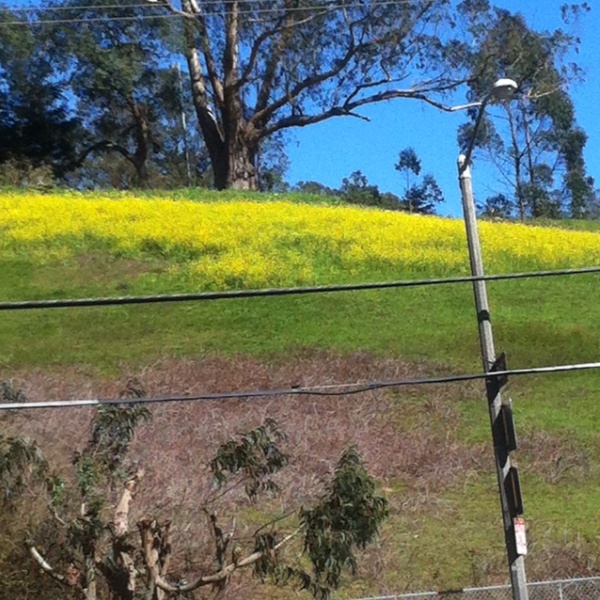 And here’s a picture from a smartphone… this week’s sunny weather provides such a classical contrast of colors! ← Help Save our 36 Teresita Bus Route!